Elected to the Thirty-seventh Parliament for South West Region on 26 February 2005 (for term commencing 22 May 2005). 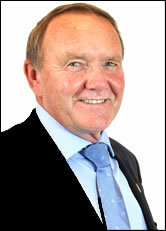 Re-elected 2008, 2013 for terms commencing 22 May. Resigned from the Liberal Party and became a member of the Shooters, Fishers and Farmers Party on 16 June 2016. Defeated 11 March 2017 (term concluded 21 May 2017). Shadow Spokesperson for Regional Development: 22 May 2005 - 23 September 2008. Shadow Spokesperson for Peel: 8 April 2006 - 23 September 2008. Member, Standing Committee on Legislation: 26 May 2005 - 17 August 2005. Member, Standing Committee on Estimates and Financial Operations: 30 June 2005 - 28 June 2007. Member, Standing Committee on Public Administration: 28 June 2007 - 4 June 2009. Member, Standing Committee on Uniform Legislation and Statutes Review: 6 November 2008 - 21 May 2013. Re-appointed: 4 June 2009. (Elected Deputy Chair: 4 June 2009 - 21 May 2013). Member, Standing Committee on Public Administration: 22 May 2013 - 21 May 2017. Member, Select Committee into the Operations of the Western Australian Royal Society for the Prevention of Cruelty to Animals: 14 May 2015 - 19 May 2016. Member, Parliamentary Services Committee: 4 June 2009 - 14 December 2012.